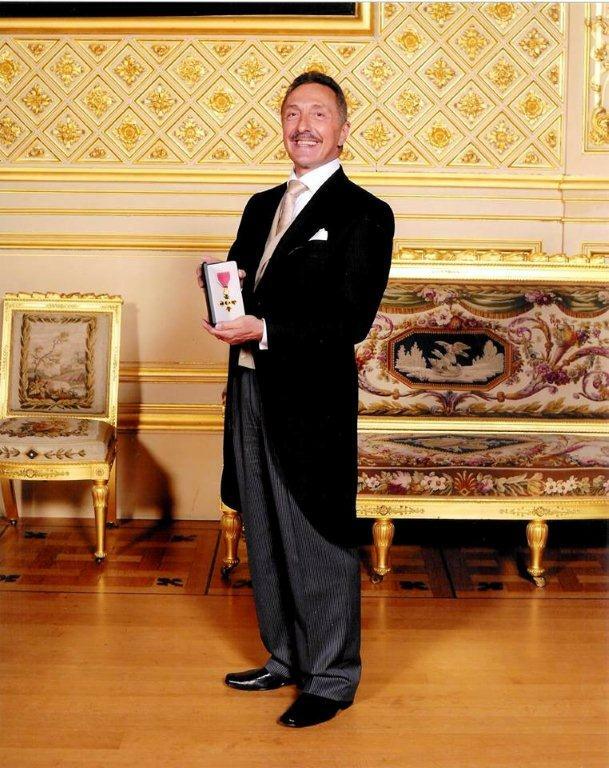 Professor John Warner, a consultant paediatrician at Imperial College Healthcare NHS Trust, was awarded his OBE at Windsor Castle on 22 November. Speaking at his Investiture, Professor Warner said he was honoured to receive the award. Professor Warner has been involved in food allergy research over the past 25 years. His research has focused on the early life origins of asthma and related allergic and respiratory disorders. He is currently working on a programme to improve knowledge and co-ordinate the management of children with allergies in general practices, nurseries, schools and home. A short film documenting the experiences of patients that have taken part in research in North West London has been recognised as joint runner-up in the NIHR New Media Competition. Produced as a collaborative output between neighbouring arms of the NIHR infrastructure in Northwest London (i.e. the NIHR Imperial Biomedical Research Centre (BRC), NIHR Biomedical Research Unit (BRU) in Cardiovascular Disease, NIHR BRU in Respiratory Disease and NIHR CLAHRC Northwest London), the objective of this film was to promote patient participation by presenting an unbiased report from the patient perspective. Over the summer, a number of upgrades have taken place to improve the student and staff facilities across our campuses. The Reynolds Café and Reynolds bar have been completely refurbished – a much needed modernisation to support our students and staff at this site. The Gym facilities at this campus have also been upgraded providing better fitness facilities for our staff and students. This also includes the Energia Strength and Conditioning Room which includes state-of-the-art facilities for students who want to maximise their athletic performance. Over at the Hammersmith campus, a complete refurbishment of the 3rd floor has taken place along with teaching labs, student common room and computer lab. Seminar rooms in the sub-basement have also been upgraded and modernised to provide a better lecturing space. Organised by the Partnership for Child Development, Institute of Health and Development (ISED) and the University of Dakar the first Francophone School Health and Nutrition (SHN) was opened in Senegal on Monday. The course will host government representatives from 13 African Francophone countries, who for 10 days will focus on supporting effective SHN intervention delivery. Each year on 16 October World Food Day aims to increase understanding of problems and solutions in the drive to end hunger, malnutrition and poverty. Over the years the day has taken on various themes which have focused on investing in agriculture and recently focus has been drawn on health and education too. One solution which countries have put in place to combat hunger and poverty is to provide free school meals to their schoolchildren. Through school feeding programmes countries see results – results in terms of happier, healthier and better educated kids. The evidence base shows that school feeding increases pupil enrolment, improves retention and that educational outcomes improve as children are able to concentrate better and ultimately enter adult life better equipped. Increasingly countries are beginning to realise that school feeding can do more than just benefit school children. 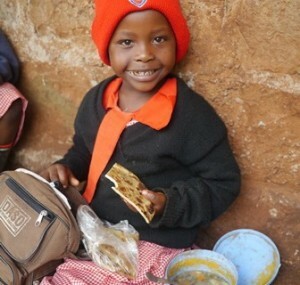 By procuring their food locally school feeding programmes can support marginalised smallholder farmers by providing them with a constant stable market to sell to; increasing profits for smallholder farmers whilst at the same time providing fresh and nutritious local food to school meals. Do ‘may contain traces’ labels annoy you? If you’re aged 18-45 and otherwise healthy you could be eligible to participate in a clinical study we are holding in London and Cambridge. The study seeks to understand more about peanut allergy, with the aim of improving allergen labelling on foods. You will learn more about your allergy and be part of something ground breaking! You will also be compensated up to £800 for your time. Imperial College has figured at No 4 globally in the Times Higher Education (THE) World University rankings in the Category of Clinical, Pre-Clinical and Health, a rise of one place since 2012. This is excellent news and reflects strongly on the quality of our faculty and on the sustained excellence of the research and teaching at Imperial College. So thanks to all of you for helping to deliver this remarkable achievement which clearly reflects an extraordinary body of work. Every small contribution helps – from taking extra time over a worried student to discovery of a new pathway relevant to human disease or in translating research into policy. The ability to translate does appear to be an important theme in this category with important implications in enhancing reputation. We have a wonderful research eco-system in the Faculty of Medicine that enables us to convert our discoveries into real benefits for patients through our partnerships in the AHSC and the AHSN. This theme of translation is also followed through in the Life Sciences table with Harvard ranked at No 1. The Citation in THE interestingly cites Harvard’s ability to accelerate the pathway from discovery to product through the Harvard Biomedical Accelerator Fund and the capacity to rapidly move from test-tube to clinic as a key factor in its success. As we look to the future with development of Imperial West looming on the horizon, there may be important pointers for us here in terms of our translational strategy. How we develop strategically with our international partners may be key to moving further ahead in the University rankings in the future. Our ICT department has introduced an app, called mobilEcho, that allows staff and students to connect securely to their ‘home’ directory (H drive) and SharePoint using mobile devices such as phones and tablets, both on and off campus. The software is free to use, and supported on both Android and Apple devices. Find out more about MobilEcho. Queries can be directed to Michael Lynn by email. A new wireless system (ICHT-Green) is also now available (from 30th September) offering excellent coverage across Hammersmith and Queen Charlotte’s Hospital buildings for all staff using Trust-owned, Windows-based laptops (not tablets or mobile phones). This work is part of the Trust’s commitment to support and enhance the experiences of Imperial College and other academics across all Hospital sites. 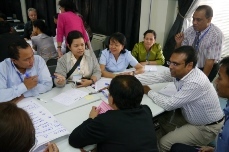 Following the success of the 2nd School Health & Nutrition (SHN) Training Course for government, United Nations and civil society staff in the Asian region earlier this year, PCD are delighted to announce that applications are now open for the 3rd Asia SHN Training Course. Held at Mahidol University in Bangkok, Thailand, and jointly hosted by the Thai Ministries of Education and Health between 2 -10 December 2013, the course will cover a broad range of topics in the field of SHN and will focus on the key issue of malnutrition; looking at the double burden of stunting and wasting, and under-nutrition among children as well as the growing issue of child obesity in Asia. 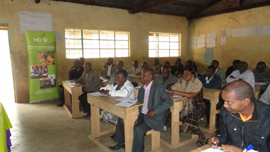 In order to strengthen the implementation of Kenya’s Home Grown School Meals (HGSM) programme, PCD recently supported Kenya’s ministries of education and health to deliver national training to school feeding implementers across 70 counties and sub-counties in Kenya. The initial phase of training was carried out among a total of 345 heads and directors from education, health and agriculture county departments, to enhance the role of Kenya’s decentralized regions in the programme and to increase the involvement of the programme’s supply chain beneficiaries. The second phase of training, carried out in July and August saw over 3,400 participants targeted from 1717 schools, provided the opportunity for teachers from beneficiary schools to share experiences and challenges in school feeding delivery. In May 2012, Partnership for Child Development (PCD) were filmed by Dubai documentary makers on their role in Ghana’s Home Grown School Feeding programme (GSFP). 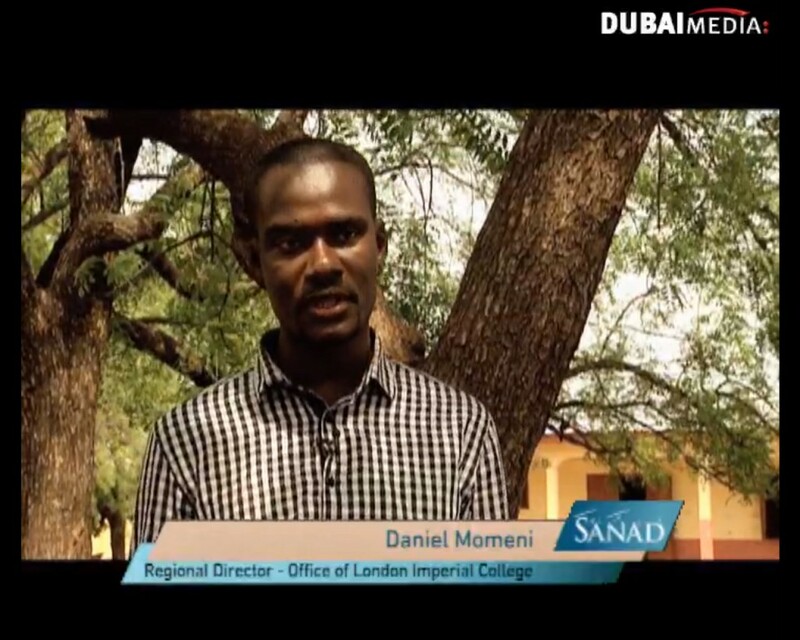 The documentary series, entitled Sanad, began airing during Ramadan last month, with the GSFP featured in episode one. The series featured projects funded by philanthropic organisation Dubai Cares, which included Home Grown School Feeding programmes supported by PCD and its partners in both Ghana and Ethiopia. In episode one, PCD’s West Africa Regional Director, Daniel Mumuni, outlined PCD’s role in the programme alongside the aims of HGSF programmes; to support child health, nutrition and education, at the same time as promoting local livelihoods. 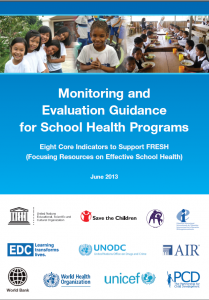 As part of ongoing efforts to provide internationally-agreed guidance on how to monitor and evaluate school health programmes, the Focused Resources of Effective School Health (FRESH) partners havedeveloped Monitoring and Evaluation (M&E) Guidance for School Health Programmes. Partnership for Child Development, alongside numerous individuals and organisations, have input support, advice, and insight into this publication over the past five years. With its set of recommended indicators, this FRESH M&E Guidance intends to help programmes in low and middle-income countries ensure their implementation is more standardised and evidence-based. On the 20th and 21st June, the MSk Lab ran the Great Debate for the second time after taking the gauntlet on from industry who had organised it in previous years. Professor Cobb is one of the founders of the meeting 7 years ago and chaired the event since its inception – so last year it was great to finally bring it in house. 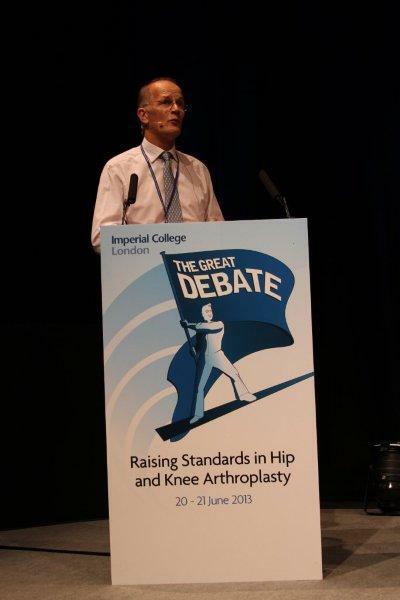 The Great Debate is a two day interactive conference which gives the attendees opportunities to vote on topical issues in hip and knee arthroplasty, as well as question the faculty on controversial themes in the session debates. Last year the time of year it was held changed as well as a move of venue to The Mermaid Conference Centre. 2013 also brought some changes – the avatar/logo was given a new lease of life and breakout sessions run by industry were added each day. We had the support of 19 Industry sponsors, a 25 strong international faculty with renowned speakers joining us from; Australia, USA, Germany, Italy and the UK. “The big issues debated this year included hip bearings, and partial knee replacements competing with top of the range total knees. In the hip bearing debate, ceramics were clear winners, although interestingly resurfacing is not dead. Almost 80% of the surgeons thought there was still a place for the procedure, and accepted the functional gains that it brought. Having almost finished dotting all the t’s and crossing all the I’s to finalise this year’s event, we may just have time for a cuppa before starting to plan The Great Debate 2014. With such good feedback – how could we not! Tweet us or follow us @Great_Debate_UK, which we will be using to try and keep some debate going, accept suggestions as to topics for discussion, and provide details of who to expect to see, where and when in 2014. “It is a really interesting and exciting project to be working on, not only because of the academics involved, but also due to the scope this application has if proved a valuable and reliable teaching channel. The initial study was conducted on students, giving them an enhanced learning experience from which objective and subjective feedback was collated to assess the impact and value of holography-assisted lecturing. It will be interesting to see if this new learning experience will actually become the ‘gold-standard’ in levels of teaching/presenting.”, Dr Sugand commented. The team are not just looking at the impact this has on graduate teaching but how it can be used in the wider medical world too. 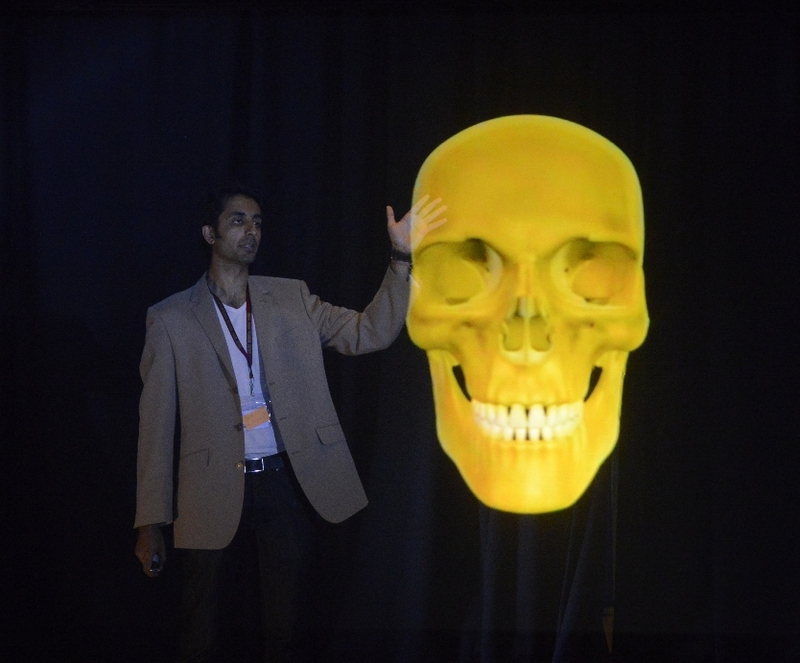 Holograms have the power to visually communicate with greater immersive impact than other presentation modalities so it may facilitate patients being able to understand the disease process and management options more effectively. Something to watch for the future; but we could see holography used as a means of patient engagement, improving compliance to management and being part of the ‘pre-habilitation’ phase of enhanced recovery programmes. Approximately 169 developing and developed countries invest in school feeding programmes worldwide, an investment which equates to approximately US$ 75 billion, and which for the most part comes from government budgets. 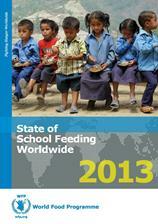 This was just one key finding from the recently published report, State of School Feeding Worldwide, which provides for the first time a global picture and analysis of school feeding programmes, and which was officially launched in the US yesterday, by WFP, World Bank and Partnership for Child Development (PCD). Speaking on the report’s significance lead author Carmen Burbano said, “The report provides the first ever map of school feeding showing that most countries around the world, whether in high, low or middle income countries are implementing school feeding as a social safety net in times of crisis”. Partnership for Child Development (PCD) recently co-organised the 9th African School Health and Nutrition (SHN) Course, where over 50 attendees inclusive of representatives from ministries of health, education, agriculture, gender and social development across 12 African countries were hosted by the Ghanaian Government to focus on best practice in SHN programme interventions. Comprehensive SHN programmes address challenges negatively impacting on child health, such interventions include HIV/AIDS prevention, malaria and parasitic worm treatment, control and prevention, and nutritional deficiencies such as iron-deficient anaemia and short-term hunger through school feeding. Throughout the course these intervention areas were focused on through a range of presentations, break-out sessions, expertly facilitated lectures and field visits. Researchers from the Department of Surgery and Cancer have uncovered a novel link between the tumour suppressor Dickkopf-3 (Dkk-3) and TGF-β signalling. The team previously found that Dkk-3 is required for human prostate epithelial cells to form acinar structures in 3D matrigel cultures; an in vitro model for prostate gland development. This new study, carried out in collaboration with the Centre for Cooperative Research in Biosciences (CIC bioGUNE) in Bilbao and the German Cancer Research Center (DKFZ) in Heidelberg, shows that Dkk-3 limits epithelial cell proliferation in 3D cultures and during mouse prostate gland development. It is well known that TGF-β signals go awry during cancer progression; switching from tumour suppression to tumour promotion. This study shows that loss of Dkk-3 activates TGF-β signalling – inhibition of which rescues the 3D phenotype. The results provide further support and rationale for the use of TGF-β inhibitors to treat prostate cancer. They may also be relevant to other cancers, such as those of the breast and the ovary, where similar changes in Dkk-3 and the TGF-β response take place. The studies at Imperial were carried out by Diana Romero and Yoshiaki Kawano, now at Kumamoto University in Japan, and were funded by a Cancer Research UK (CRUK) Project Grant awarded to Robert Kypta and Jonathan Waxman. The work is published in the Journal of Cell Science. The Faculty has a number of digital information screens dotted around the campuses. These are an excellent way to promote your news and events to other staff, students and campus visitors. All staff can send posters and information to Sinead Caushaj (Administrative Assistant – Building Operations – s.caushaj@imperial.ac.uk ). Staff and postgrads can select individual/all/multiple campuses to upload information to. If you wish to promote your message via other digital screens (not listed above), please contact Katie Weeks (k.weeks@imperial.ac.uk) in the events team. Innovation and tutoring in the Faculty of Medicine were recognised in the first annual Student Academic Choice Awards (SACAs). These awards are a first for academics and support staff, nominated and chosen entirely by students. The awards are designed to celebrate and reward good teaching and emphasise teaching as a skill of equal worth and value as research. The long term aim of these annual awards is to build a community and ownership of the courses being delivered. It is also a chance for students to say ‘thank you’ to teaching staff. The UK Technology Strategy Board (TSB) is a funding organisation which Imperial has arguably underutilised in recent years, and for any of our scientists seeking collaborations with industry they are an excellent source of potential leverage funding. The TSB launched its 2013-14 Delivery Plan in May. In their role as the UK’s innovation agency they have a budget of £440m over the next year to help accelerate economic growth by stimulating and supporting business-led innovation. They will establish and implement national technology strategies in the priority areas which include energy, transport, health, digital, space, biosciences, IT, high value manufacturing and advanced materials. TSB awarded over 60% of their R&D investment to small and medium-sized enterprises during the last year and ran more than 70 competitions for R&D funding, offering grants to over 1,000 organisations. In 2013-14 they plan to launch around 75 more competitions across the priority themes, committing almost £300m. They are working with more than 4,900 companies and 150 research organisations, including 110 universities and all of their 7 so-called Catapult centres (world-leading centres of innovation in their field of expertise) will become operational in 2013. Awards for Excellence in Teaching are presented annually to members of academic staff judged to have been most outstanding in the quality, organisation and presentation of their teaching. Of the award winners up to four may be selected to receive a President & Rector’s Medal for Outstanding Contribution to Teaching Excellence. There were a total of 8 recipients from the Faculty of Medicine, listed below. View a full list of recipients of President and Rector’s Awards and Medals. Building on the success of the 2012 Imperial NIHR Biomedical Research Centre (BRC)/Imperial Innovations Therapeutic Primer Fund of £250,000, the College received £700,000 funding from the Medical Research Council (MRC) to establish an Imperial Confidence in Concept (ICiC) Scheme. Funding for projects was also sourced from the CLAHRC and College’s Wellcome Trust Institutional Strategic Support Fund to create a total fund in excess of one million pounds. This fund has been used to identify early targets, not currently being developed, within the Faculties of Medicine, Natural Sciences and Engineering, to enter into the drug, devices and diagnostics development pathway. The ICiC fund combines the Imperial NIHR BRC/Imperial Innovations Therapeutic Primer Fund that promotes the discovery and development of therapeutics for areas of unmet medical need, and pump-primes the early stages of drug/therapeutic discovery with the MRC ‘Confidence in Concept’ scheme that helps to pump-prime the translation of novel therapeutics, devices and diagnostics, including repurposing of existing therapies toward clinical testing. Additional funds were sourced from the CLAHRC and ISSF to support two extra projects. The Northwest London CLAHRC (NIHR Collaboration for Leadership in Applied Health Research and Care) is an alliance of academic and healthcare organisations working to develop and promote a more efficient, accelerated and sustainable uptake of clinically innovative and cost-effective research interventions into patient care. The Institutional Strategic Support Fund (ISSF) is a awarded to Imperial College from Wellcome Trust to support our researchers and to stimulate inter-disciplinary research. The ISSF supports a range of College-wide schemes that connect our excellent research capabilities in order to address the Wellcome Trust Research Challenges. The ICiC scheme has been designed to provide pilot funding to bridge the potential gap between discovery research and well-developed applications for MRC Developmental Pathway Funding Scheme/ Developmental Clinical Studies Funding Scheme support. The scheme was launched at a briefing event on the 28th February this year, with 70 expressions of Interest being submitted to the panel. Out of the seventy expressions of interest received, 27 were shortlisted and 19 were awarded funding at the final meeting in May 2013. The panel was chaired by Professor Roberto Solari, who was delighted with the high quality and wide range of applications. There was a buzz outside the Drewe Lecture Theatre on Wednesday 5 June, as Year 5 Medical students gathered to collect their brand-new iPad Minis. Once all the iPads were handed out, Mr Martin Lupton, Deputy Director of Education, gave a welcome to the iPad pilot project followed by an introduction and demonstrations by Dr Maria Toro-Troconis, E-learning Strategy and Development Manager, and Mr Taylor Bennie, Learning Technologist. Access to all learning materials via Blackboard Learn, being able to annotate and carry their notes wherever they go. The School has bought two apps for students: iAnnotate (which allows students to annotate documents in different formats) and Puffin, an Internet browser that allows students to render Flash content on their iPads. Access to iBooks for different clinical attachments being able to record reflections. Access to some sign-off forms (DOPS) on their iPads allowing clinical teachers to assess students and submit the DOPS to the Faculty Education Office electronically, keeping a record on the students’ iPads. Access virtual clickers on their iPads via the Virtual G-Pad App allowing instant feedback during lectures. Access to eBooks from the library. After the demonstrations, Mr Jon Arntzen from ICT helped students set up all the iPads on the Imperial Mobile Device Management System, AirWatch, which will allow the eLearning team to push Apps to the students’ iPads, reset passcodes and wipe out all the information on any device that gets lost or stolen. The Medical School will be also issuing iPad Minis to Year 6 MBBS students on 22nd July 2013. The pilot will run for two years finishing in 2015/16. The iPads will be returned to the Faculty of Medicine at the end of the pilot. The Medical Education Specialist Interest Group (MESIG) is a discussion group for anyone actively involved in teaching, curriculum development or education research across the Faculty of Medicine at Imperial College. MESIG meets once a month to hear from expert speakers, share experiences and offer support and advice for your educational projects. We meet in an informal atmosphere where you can discuss the latest thinking in education, ask for advice on ethics approval or funding for your research project, or simply listen to our expert speakers. We know that you are busy and so rotate the times and venues of meetings each month, to allow as many people to attend as possible. If you are interested in joining the MESIG mailing list, please contact Dr Graham Easton or Jo Horsburgh, or visit the MESIG website for more information. The philanthropic organisation, Dubai Cares recently announced the launch of its three-year integrated Home Grown School Feeding (HGSF) pilot programme in Ethiopia, which is being implemented in 30 schools over three years to address the school health and nutrition (SHN) needs of approximately 30,700 primary school age children. The pilot is being carried out through a partnership formed by Partnership for Child Development (PCD), Imperial College London, Ethiopia Health and Nutrition Research Institute, World Food Programme, Schistosomiasis Control Initiative, and SNV-Netherlands. Through this collaboration, various aspects are contributed to the programme; in addition to in-school meals prepared from locally sourced commodities, components of Deworming treatment and Water, Sanitation & Hygiene (WASH) in schools have also been included. Iain Gardiner, East Africa Regional Coordinator for PCD, said, “The Dubai Cares funded HGSF programme is a leading example of how different stakeholders can effectively pool their expertise to make a real impact on the health, education and wealth of children and farming communities in Ethiopia”. Read more about the HGSF programme on the Schools and Health website. This month the Government of Ghana are hosting the 9th African School Health and Nutrition (SHN) Course where representatives from ministries of health, education, gender and social development, SHN experts, civil society and academics from 13 African countries will gather for ten days to focus on best practice in SHN interventions. The course, which runs from June 10 – 20 is co-organised by Partnership for Child Development, West African Centre for International Parasite Control (WACIPAC) of the Noguchi Memorial Institute for Medical Research, and Eastern and Southern Africa Centre of International Parasitic Control (ESACIPAC). Dr. Irene Ayi, Head of WACIPAC and the WACIPAC’s Department of Parasitology said, “The SHN Short Course has over the years grown from strength to strength, providing an opportunity for ideas and experience exchange among policy and programme managers involved in school health and school feeding interventions from the various countries in attendance. Such interventions have been shown to improve the health and academic performance of school-age children”. Government officials from ministries of agriculture, education and health representing 12 West African countries are to meet in the Gambia this week for a workshop focused on strengthening school feeding programmes linked to local agricultural production. Workshop Director and Director of Basic and Secondary Education in the Gambia, Mrs Amicoleh Mbaye said, “Having the various personalities from 12 different countries come together is a clear manifestation of government commitment to school feeding programme ownership using the multi-sectoral approach”. Two murals which were removed during refurbishment work in 2003 have been finally reinstalled in the entrance lobby of St Mary’s Medical School Building. They were unveiled by Dermot Kelleher, Dean of the Faculty of Medicine, at a ceremony at St Mary’s on June 11th, 2013. One, by Faye Carey who was the creator of several art works in London hospitals, celebrates the work of four distinguished scientists who had worked at St Mary’s : Augustus Waller, Almroth Wright, Alexander Fleming and Rodney Porter. This mural was originally unveiled on 12th October, 1992 by Sir Roger de Grey, then the president of the Royal College of Arts. The other, by the distinguished artist, Jacqueline Rizvi, shows the sporting and cultural activities of the St Mary’s student body. This was originally unveiled on the 27th April, 1993 by the Right Honourable Christopher Chataway M.P. who had been a world record breaking athlete and a pacemaker during Sir Roger Bannister’s first sub four minute mile in 1954. 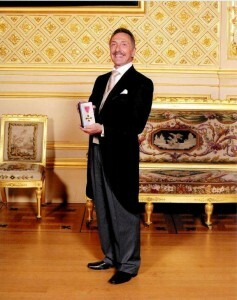 Sir Roger, then a consultant neurologist at St Mary’s was also present at that original ceremony. Also present on June 11th was Emeritus Professor Leslie Brent. As chairman of the St Mary’s Art Committee in 1990 Professor Brent had raised £45,000 to pay for the murals from several sponsors : the Royal Academy of Arts, the Foundation for Sport and the Arts and the Edward Austen Abbey Memorial Trust Fund for Mural Painting in Great Britain. During the ten years since the murals’ removal to storage Professor Brent has worked tirelessly to have them restored, with unfailing support from Anne Barrett, Imperial College Archivist and Corporate Records Manager, and from Tim Orson, specialist art restorer. Dermot Kelleher described the genesis and history of the murals and paid tribute to those who had worked so hard to restore them to their rightful place. He believed the depicted achievements which had inspired the artists would continue to be an inspiration to today’s and future medical students. Tim Orson then described the technicalities of the restoration and said it had been a privilege to work with such rare and beautiful materials.